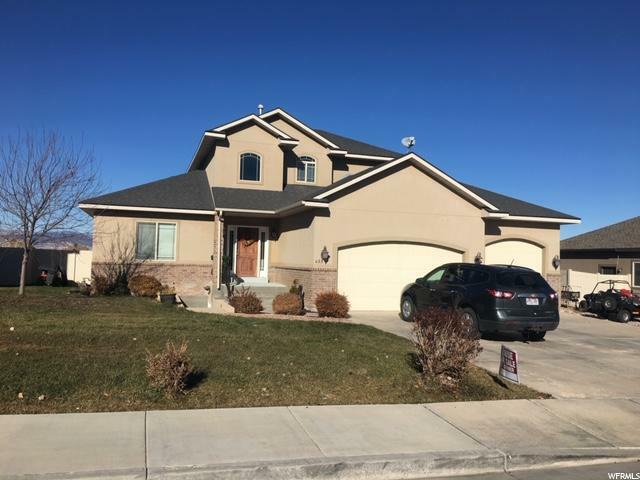 All HUNTER HOLLOW homes currently listed for sale in Vernal as of 04/25/2019 are shown below. You can change the search criteria at any time by pressing the 'Change Search' button below. "This beautiful home is located on the southern most edge of Hunter Hollow Subdivision. It has an extra piece of land ( serial # 06:023:0455) . The back yard faces an open and spacious field with beautiful views and room to roam and play. This home has beautiful traditional yet modern upgrades and finishes. The basement is framed and ready to finish to the buyers liking. Square footage figures are provided as a courtesy estimate only and were obtained from Uintah County . Buyer is advised to obtain an independent measurement." "This home has so much to offer new paint and granite throughout the home, large mater bath features a jetted tub. with a fully done walkout basement that has equipped with its own kitchen and laundry room. all basement appliances come with the home its perfect as a rental or mother in law apartment.Square footage figures are provided as a courtesy estimate only and were obtained from county records . Buyer is advised to obtain an independent measurement."